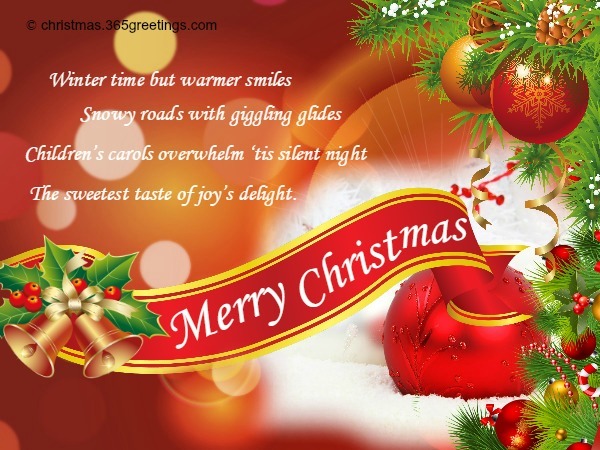 Christmas is one of the happiest and most festive seasons in a year. A season when people bond and reconnect, sending Merry Christmas wishes and Christmas Gifts holds a huge significance. 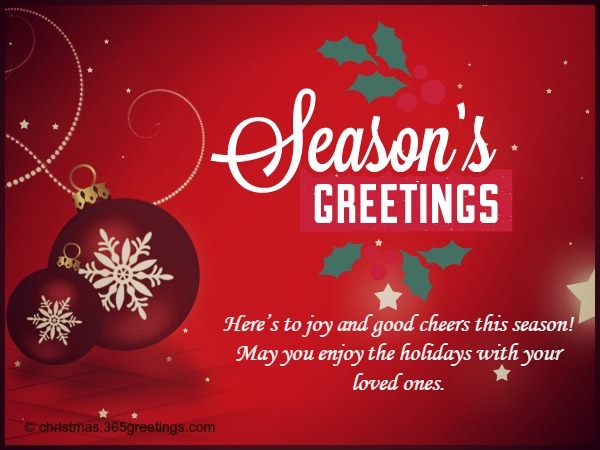 Through Christmas cards and greetings in any form, a person, especially those who are living away from their family, can express their warmest and heartiest holiday wishes for their loved ones. So, even though they cannot be there physically, they can celebrate with their relatives by soul. 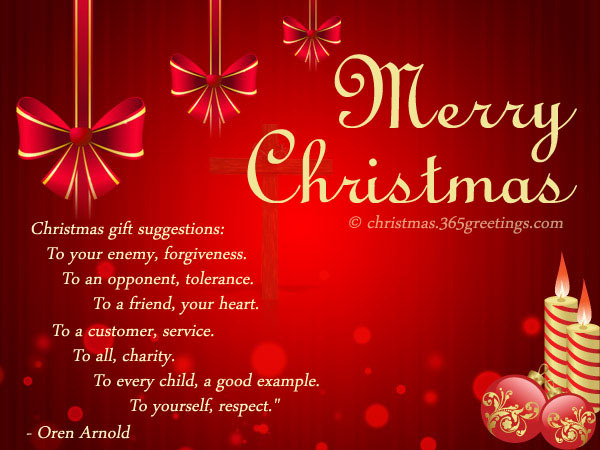 This Christmas, share the spirit of love and giving with the following Christmas wishes wordings. Be glad, smile and rejoice! For our savior is born! Have fun on Christmas day! May the season of love and sharing bring you happiness in life. I wish you all the best. More blessings to come to your way. 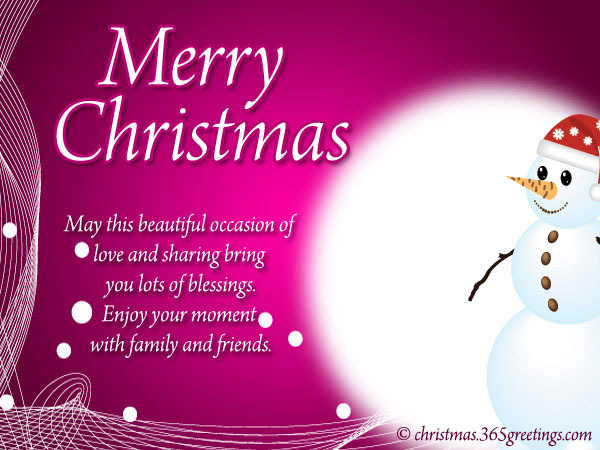 as you celebrate Christmas with your families and love ones. from evil desires and only good yearnings will remain. Have a happy Yuletide season! Christmas is the season of giving and sharing. May you value the true meaning of Christmas. I will always be thankful as God gave you to me. May this beautiful occasion of love and sharing bring you lots of blessings. Enjoy your moment with family and friends. Being one of my closest friends, I consider you as my family. Being a family, you will always be dear to me. 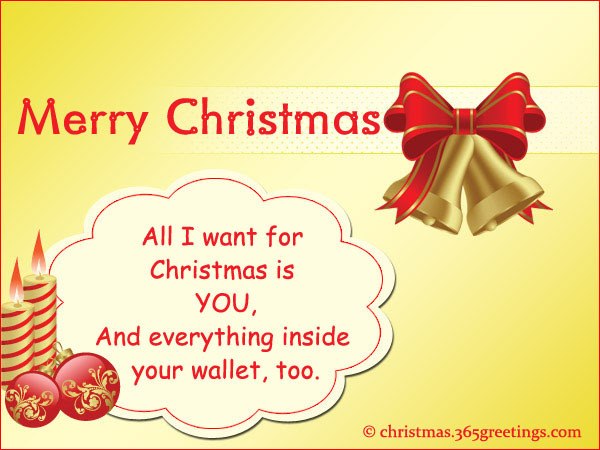 I wish that this Christmas be the start of your better life. Don’t panic, be calm. Coz you’d probably be delivered to me on Christmas day. Because I wished for a sweet and cool friend from him. because I already have the greatest gift of all. I thank God for giving me a Mom like you. I have two reasons to celebrate Christmas this Christmas season. for giving me the greatest gift a person could ever receive. It’s you, dad! Merry Christmas! because I found you somewhere else. Want something more Christian Christmas wishes? Here are some of the samples of Christmas wishes with religious theme and context. Hope this helps. Jesus Christ came down from heaven because of His love for us. May you be guided of his love this Christmas season and be good to everyone. Christmas is not only about you or about me. It is about US and about the birth of our savior Jesus Christ. Let us unite in celebrating His birth as we sing carols of joy. Let’s be glad, rejoice and celebrate! Share the love and care to everyone. This Christmas, let go of bitterness and hatred. For the true meaning of Christmas is to forgive, share and love. May God always be with you and bring blessings to your life. Let Christmas be your reminder that God is always here. As He send His only son for our sins to be forgiven. May you have some time to reflect on the God’s graces and blessings. 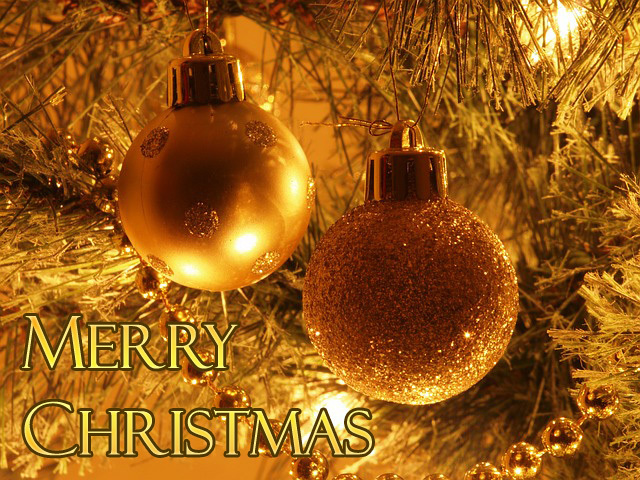 I’m wishing you a merry and blessed Christmas! Today, our savior is born! May His love, blessings and serenity be with you now and forever. Here’s wishing you a holy and merry Christmas! Wishing you a Christmas filled with love and peace. Christmas is the season of sharing. That’s why I am sending you a Christmas card. To share my love and warmth for you this holiday. 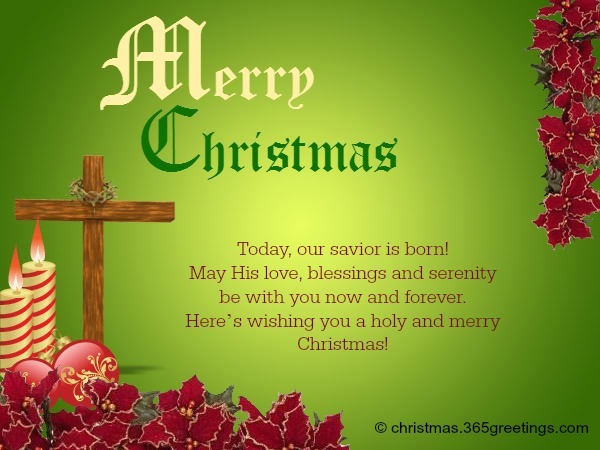 May you have a blessed and merriest Christmas! You are such a wonderful person. And I’m wishing nothing but the best. 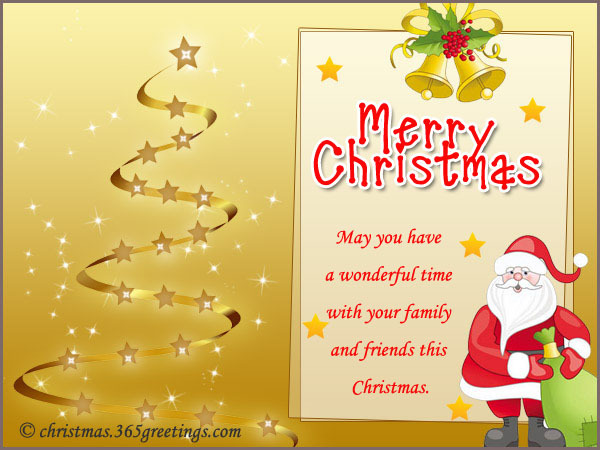 May you have a wonderful time with your family and friends this Christmas. Enjoy while it lasts as when the holiday is over, you’ll be back with work and craze. Sharing the blessings you’ve got. Just be glad, celebrate and rejoice. 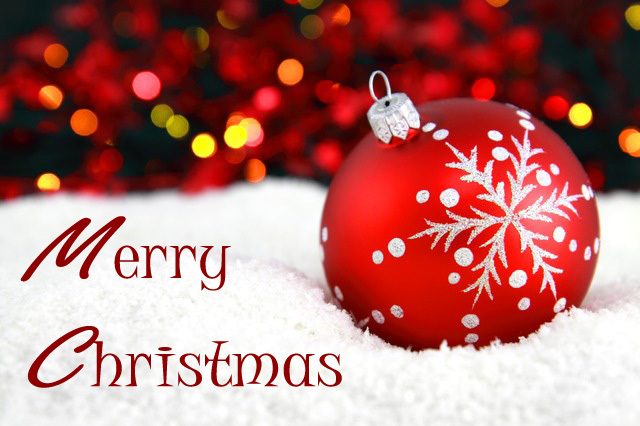 May you and your family have a wonderful Christmas! as you welcome a new year of hope and faith. may live in the heart of each and every one of you. 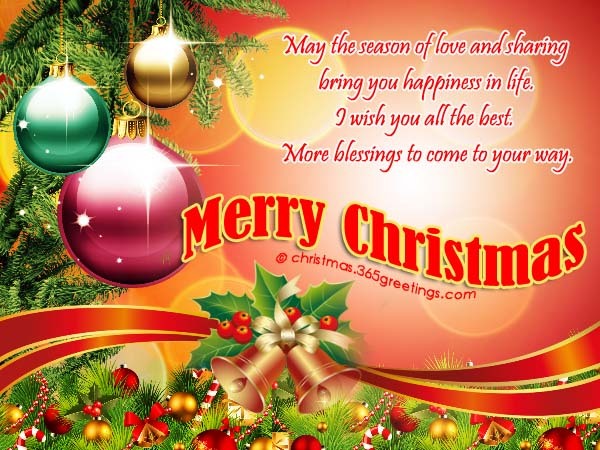 Merry Christmas to you and your love ones! This is the season of hope, faith and love. to celebrate a very meaningful Christmas. and as joyful as the carols you play. May you have good cheer this Christmas season! will fill your heart as you celebrate the season with your family. A baby was born in a mangier in Bethlehem. Let us offer Him our clean hearts as a gift. I wish this holy season may bring you lots of blessing. and move on to a new beginning. Welcome the year with happy noises. Christmas is the season to be jolly. most beautiful noise ever invented -LAUGHTER. as you face the coming of a new hope and a new beginning. that you are welcoming a bright and colorful life ahead like the fireworks in the sky. 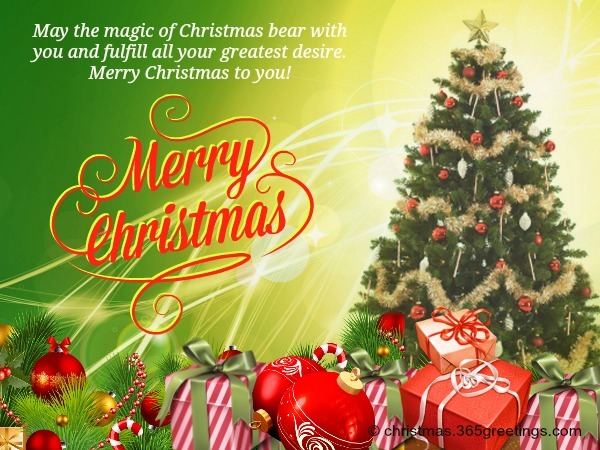 May you have a Wonderful Christmas and a Prosperous New Year! and welcome the New Year with a bang. Have a fun-filled holiday season! reach you and your family. between you and your family. before the network gets busy. I wish to God that He will bless you and your family. I’m so glad you’ve been a part of my life. I hope this coming year; you’ll still be a part of it. 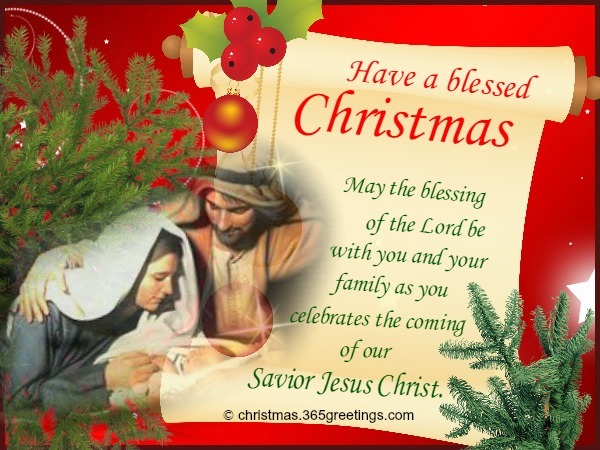 Let us celebrate for the coming of our savior Jesus Christ. Let us welcome Him with an open arm while singing carols of joy. I’ll just wrap myself to be your best Christmas gift ever! But I’ll wish you happiness this season. Just in case you’ll have a hard time picking a gift for me. And thank you in advance! Wishing you a Merry Christmas big time! I wrote him that you haven’t been bad these days. Hope he gets it though. Including your credit card and cash. But I love you, really. Christmas is my favorite day of the year. This is when I will just receive and give thanks. I’m so ready to open your gifts. 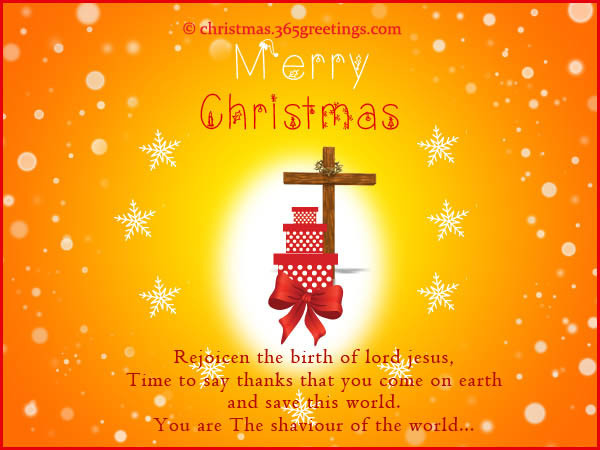 as you celebrates the coming of our Savior Jesus Christ. The smile on my face doesn’t mean my life is perfect. I just appreciate what I have and what God blessed me. 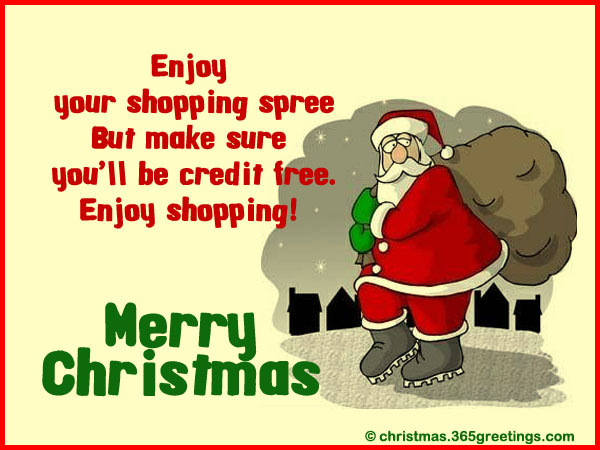 So smile and be happy in celebrating this yuletide season. This Christmas I wish your home be filled with love, peace and joy. But I pray you’ll have enormous blessings all year through. And give you immense joy and blessings always. Don’t thank God because someone gave you a pair of shoe this Christmas. a complete pair of feet to put the shoes on. 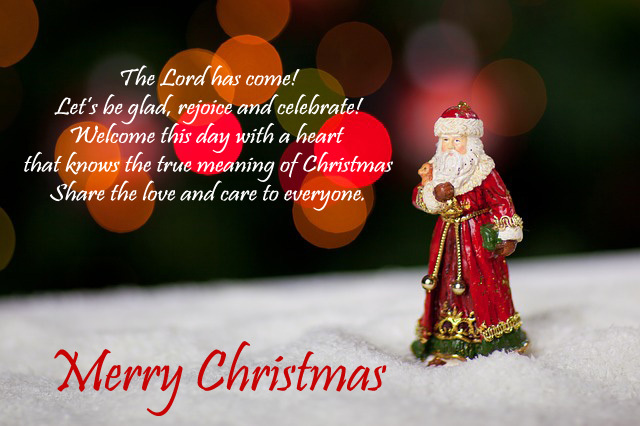 Have a very meaningful Christmas! bear with you and fulfill all your greatest desire. Love on the streets warmly resounds. And you can’t help but be merry on Christmas day. But friends always hold you dear. and may your dreams come true! Parties, mulled wine and beer. Whilst are friendships are immense! Here’s to joy and good cheers this season! May you enjoy the holidays with your loved ones. and bring smile to your face. and the birth of our Savior Jesus Christ! Have a Merry Yuletide season. Can you feel the magic in the air? Can you hear the voices of the children as they sing carols of joy? It only means one thing. Merry Christmas, the Lord is here! who know and value the true meaning of Christmas. I hope you are one of those people. 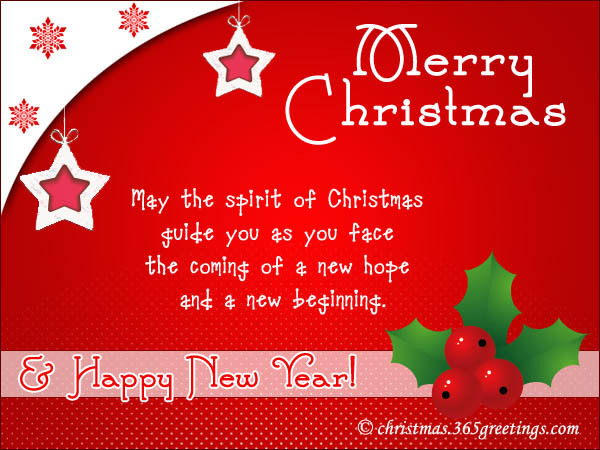 May you have a meaningful and fruitful Christmas season! as you celebrate the season of love. Be a tool and keep the spirit of Christmas alive. Be jolly and have a Merry Christmas! You are not alone in this world. There are so many people out there that you can share your love and joy. but for the rest of the years to come. what I have for you is this card to wish you good cheer this holiday season. Let us welcome this year with a blast! Party all night until you drop! But make sure you’ll be credit free. Would you be happy or dismayed? I hope he won’t miss out to drop by your gift though. 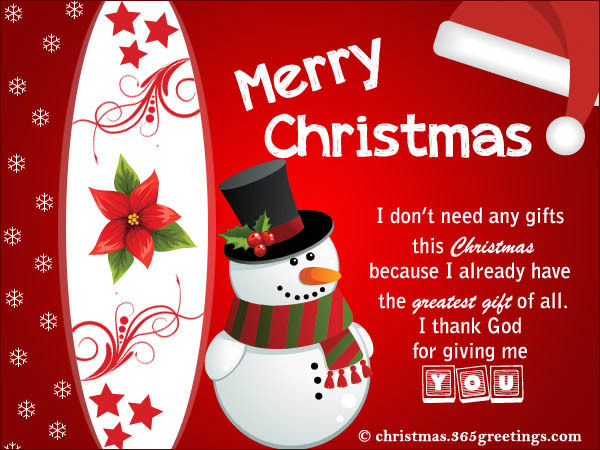 Christmas quotes and sayings can be used as Christmas wishes as well. Better yet, make it an introduction of your message especially for cards. Christmas sayings are also perfect for facebook status on Christmas day.